Hover over a workflow and click Clone. In the dialog box, enter a name for the workflow, then click Submit. You'll be redirected to the new cloned workflow. Make any changes as needed before turning the workflow on. 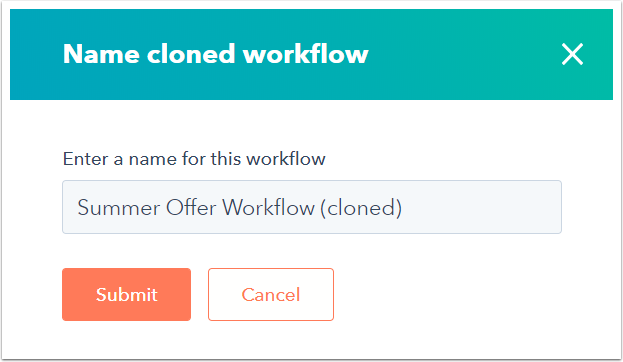 Please note: any emails, lists, or other content linked within the original workflow will remain associated with the cloned workflow but will not be cloned.